Amazon is looking to repeat its e-commerce success in the grocery vertical. Its recent acquisition of Whole Foods brought sweeping and immediate changes to the notoriously pricey grocery chain by taking a page from Amazon's traditional playbook — slashing prices. Here are details on the price changes that were implemented, and how you can cash in while shopping. All over Whole Foods stores, you can now find tags and large signage that clearly explain the recent price drops that Amazon has implemented. The produce market of Whole Foods, opulent and historically expensive, is one of the hallmarks of the chain. It makes perfect sense that Amazon would begin there. Certain varieties of apples have dropped a full dollar per pound, from $2.99 to $1.99. Avocados, which have been extra pricey this summer due to crop shortages in California and Mexico, have dropped, too, from $2.50 a piece to $1.49. Bananas dropped from $0.79 to $0.49 per pound, and lean ground beef dropped from $10.99 per pound to $6.99. Overall, prices have dropped an average of 43 percent on the store's most popular items. To find the best deals in-store, be on the lookout for these signs and tags. 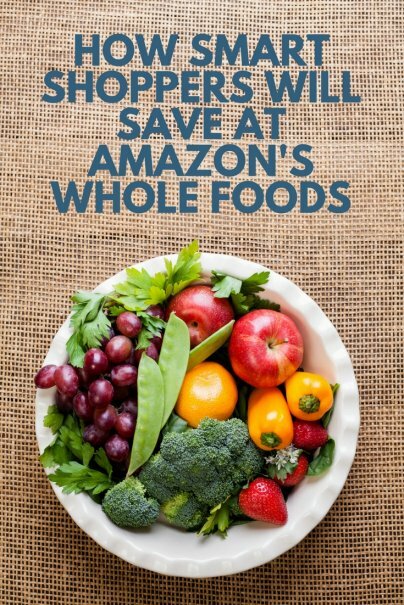 Amazon is in the process of adding Whole Foods private label brand items to the website for ordering through Prime Pantry, Prime Fresh, and Prime Now delivery programs. The Whole Foods private label brands include 365 Everyday Value and Whole Foods Market. They have long been touted as the best deals in the store. Now Amazon is elevating them even higher by making them available online. We're in the early days of Amazon's ownership of Whole Foods. What's clear is that the two brands intend to continue co-inventing ways to improve the shopping experience, provide enhanced value to customers, and compete with innovation in a traditional market.